Grab Fallout 4 for 50 percent off, or get some of the classic Fallout games at a great price before Fallout 76 rolls out next month. Bethesda’s Fallout 76 rolls out next month on November 14, and this weekend is a great time to catch up on any Fallout games you might’ve missed before the big release. Humble’s Bethesda Bombs Drop Sale is selling all kinds of Fallout games for up to 50 percent off. It’s not clear when the sale will end, but Steam is running a similar sale with October 24 as the end date. All Humble game purchases are redeemed on Steam. Top of the deal list is Fallout 4 for $15. That’s 50 percent off the game’s current price. 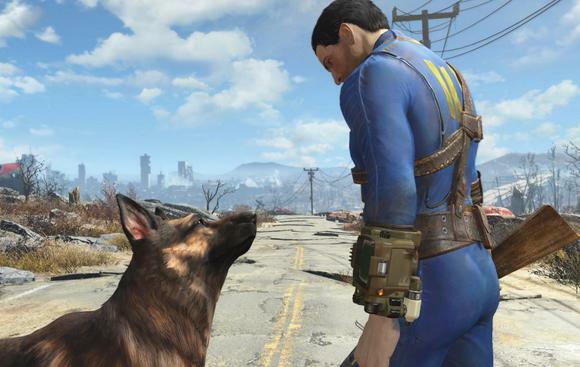 You can also get the Fallout 4: Season Pass for $30, which is 40 percent off. The Season Pass adds Automatron, Wasteland Workshop, Far Harbor, Contraptions Workshop, Vault-Tec Workshop, and Nuka-World to the base game. That’s a great price considering that just to pick up Far Harbor right now will set you back $15. Rounding out the Fallout 4 section is Fallout 4 VR for $39. You will, of course, need the HTC Vive and a graphics card capable of keeping your PC at a steady 90 fps on top of the VR version of the game. Go ahead, go all the way back to the beginning for nostalgia’s sake, or just to experience the classic that started it all: The original Fallout is just $5. Or you can opt for the Fallout Classic Collection for $10, which features Fallout, Fallout 2, and Fallout Tactics: Brotherhood of Steel. The sale also has Fallout: New Vegas for $5, Fallout 3 for $5 or Game of the Year edition for $12. If you buy Fallout 3, keep in mind that there are compatibility issues on Windows 7 and up, because this title uses Games for Windows Live. To get it to work you'll have to download and install GWL, and ensure the compatibility settings are correct. It’s all pretty straightforward, and there many online tutorials (such as this one) that detail how to get it running. This story, "Humble's Bethesda Bomb Drops Sale offers up to 50 percent off Fallout games " was originally published by PCWorld.